The Club is pleased to announce that Bangtail Bikes is elevating its sponsorship of the Bozeman Triathlon Club. The sponsorship provides a new, two-tiered platform of support for the Club and its members from Bangtail Bikes, Trek Bicycles, and Specialized Bicycles. This approach provides generous support for both Club general members and a newly established Triton “A” team. Discounts will be available to all Tritons on Trek Bicycles, Specialized Bicycles, and all other Bangtail Bikes triathlon and cycling gear and accessories. To qualify for these Bangtail Bikes sponsorship benefits, Tritons must be members in good standing with the Club and be proactive in supporting triathlons and cycling in the Bozeman community. The Bozeman Tritons appreciate Bangtail’s ongoing and growing commitment towards the Club, our Treasure State Triathlon and Headwaters Half Iron, and our local triathlon and cycling communities. Stop by the store in downtown Bozeman, and say hi to Chris, Stan, Mason, Al, Rob, John, and Mike, and be sure to thank them! Bike discounts are available for Triton members only, on bikes for personal use. 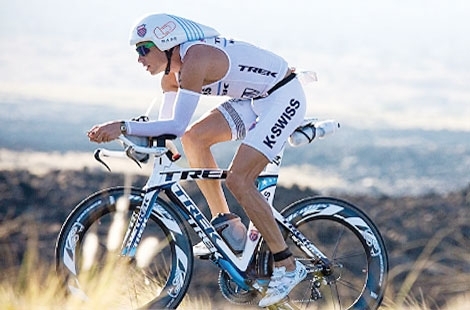 Models include tri bikes, racing bikes, and mountain bikes, as long as these bikes are used for the purposes of personal triathlon racing and training. Group discounts will be available for Triton members only, on all gear, clothing, parts, and accessories, in stock or on order, for personal use, twice a year, at planned Triton Nights at Bangtail Bikes events! The schedule for these Triton Night events will be mutually determined by the Tritons and Bangtail Bikes. Orders will be limited to standard Bangtail Bike suppliers, and additional shipping charges may be necessary. On an annual basis, the Triton Board of Directors will select up to six Triton core team members for the Triton “A” Team roster. Triton “A” Team members must compete in approximately 4 to 6 triathlons per season. These bike discounts are available for Triton “A” Team members only, on bikes for personal use. Models include tri bikes, racing bikes, and mountain bikes, as long as these bikes are used for the purposes of personal triathlon racing and training. Group discounts will be available for Triton “A” Team members only, on all gear, clothing, parts, and accessories, in stock or on order, for personal use, twice a year, and will be handled as a Triton “A” Team group order. The group order schedule will be mutually determined by the Triton “A” Team and Bangtail Bikes. Orders will be limited to standard Bangtail Bike suppliers, and additional shipping charges may be necessary.